Barite Hill "gold mine"	(www.epa.gov). In order to help him figure out whether copper-nickel sulfide mining is the cat’s pajamas or the worst idea in the history of ideas, Governor Dayton is going to visit two mines: one chosen by the mining romantics, and one by the people who choose to plan more than six weeks into the future, the environmentalists. The environmentalists had a cornucopia of mines to choose from: essentially every hard rock sulfide mine opened (or closed) since the beginning of mining. All over the US and the world. There were some really extra good ones, of course, like the Berkeley Pit, where swans land and die. Or Barite Hill, a mine that went from shovel in the ground to Superfund site in eighteen years. And how about the Formosa copper and zinc mine near Riddle, Oregon? Acid drainage there ” killed all life in the south fork of Middle Creek.” Or even Cement Creek in Colorado, where a plug was breached, regrettably and inadvertently by a contractor for the EPA, spilling millions of gallons of toxic water into the creek. It was a bomb, and unfortunately it went off in the bomb squad’s face. But the one that environmentalists really wanted the governor to see was Mount Polley (it even sounds a little like PolyMet) in British Columbia, where PolyMet is from, by the way; the mine suffered a catastrophic failure of a wet tailings impoundment last year that polluted the headwaters of the Fraser River, the most prolific sockeye salmon fishery on the planet. 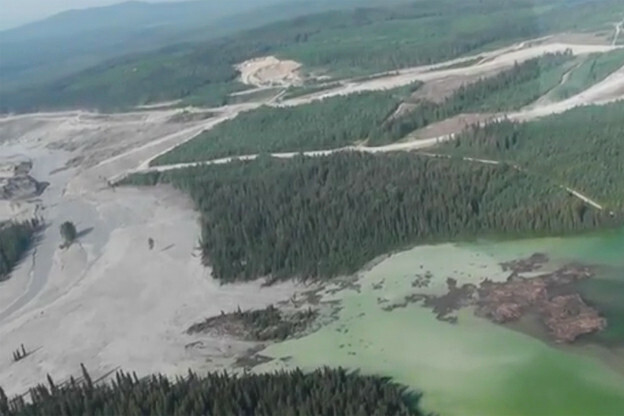 The civil engineers who are advising the state about PolyMet are the same band of schlubs who designed the Mount Polley tailings dam, by the way. And if that doesn’t make you feel confident, realize that PolyMet proposes to put its sulfide tailing in wet storage on top of taconite tailings in an already leaky impoundment that’s available because a previous owner, LTV Steel, went bankrupt. PolyMet — and Lee Schafer — tout this as a great advantage, but it sounds like catastrophe waiting to happen to me. The governor’s tour starts Tuesday at a failed gold mine near Deadwood, S.D., that has cost taxpayers more than $105 million for pollution cleanup and continues to cost more than $2 million per year. The Gilt Edge Mine — a large, deep open-pit operation — was abandoned by its owner in a 1999 bankruptcy and became a Superfund site under the U.S. Environmental Protection Agency. Superfund managers will give Dayton a guided tour. And the costs identified here are just clean up costs, not the losses of the public for loss of drinking water, damage to local flora and fauna, loss of recreational activities, the cost of private filtration of water, etc. 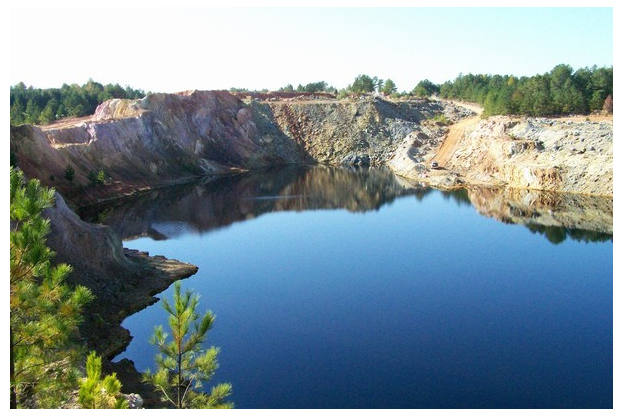 Eagle Mine, which was opened last September by Toronto-based Lundin Mining Corp., has high-grade deposits of nickel and copper, but it differs from the PolyMet proposal in several ways. While PolyMet’s project will be an open-pit mine, the Eagle operation is underground. It will produce less waste rock and fewer tailings than the mine proposed by PolyMet [because the PolyMet mine will be 99% waste], Kuipers said. And unlike PolyMet, Eagle is not likely to be saddled with long-term water treatment to fight acid mine drainage, he said. Some of you may be saying — maybe you, Frank — “What about the Flambeau Mine, the Grotto of the Miracle of the Immaculate Extraction?” That one dodged a bullet (on appeal) for now, but sulfides are clearly leeching out of the now closed mine, and will only get worse, probably for a long time, before they better. Mining supporters used to talk a lot about the Flambeau Mine, not so much any more.